Fabrica de Tequila Tlaquepaque, S.A. De C.V. 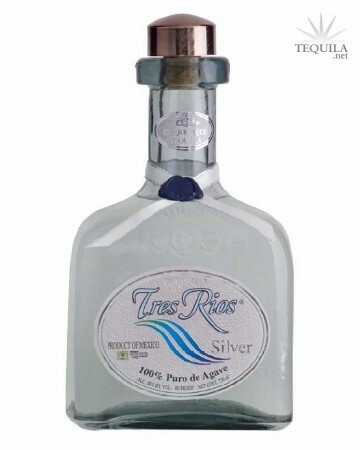 Elegant in its simplicity, Tres Rios Silver Tequila exemplifies genuine tequila in the nose and taste. It is the purest expression of the distinctive quality of Blue Agave used in its distillation. Given deliberate nurturing, Blanco releases the most unique aroma, the freshest taste and the strongest Agave flavor of the three Tres Rios products. The harvest is deferred for two years in order to fully ripen the fruits sugars, resulting in a richer honey. The Agave is then slow roasted in small brick ovens, producing unique yet pure aroma and taste. This careful, select process follows through to the pallet upon the first taste. It is a remarkable sensory experience provided exclusively by this Tlaquepaque Tequila. The yeast in Tres Rios is allowed to ferment for 24 to 28 hours, no more, no less, to achieve the perfect balance that is observed in this fine and smooth tequila. The Ojeda family uses artesian well water from a depth of 90 meters below the surface to compliment the quality of the distillation process. After the Agave is cut, it is stacked to bake in a brick oven for 36 hours, compared to the average of 12 to 24 hours, to impart the particular nuances of Tres Rios. 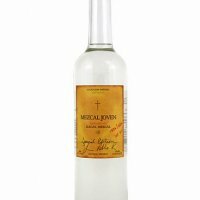 2007 - Vince Neil, lead singer for heavy metal band Mötley Crüe, launches Tres Rios Tequila at the Food Network South Beach Wine & Food Festival. 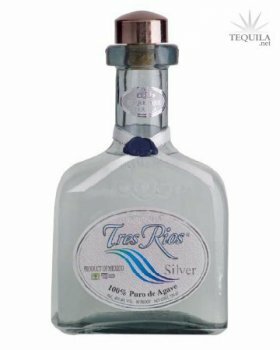 Before it was chic for so many celebrities to own their own line of tequila, Vince Neil started Tres Rios in 2007. And while I don't know the entire story behind it, I at least know that he didn't go to one of the contract giants to just bottle something and slap a name on it. He went to NOM 1482, which is a smaller distillery. I've never sampled anything from 1482, so this will be fun. Aroma: A crisp and fruity agave aroma. Just a hint of spice as well. Interesting. Initial Taste: The agave and spice notes are at the forefront. There's just a hint of earth there as well. Body: Fairly thin body overall. The spice notes are still there with a nice peppery agave punch. The sweetness has faded, allowing the earthy notes to come forward a bit. Finish: Fades away quickly, but has some nice green agave elements and pepper. Overall, this is a pretty solid tequila. Thought was put into what went in the bottle rather than just who would be promoting it. Solid stuff for the price and a definite buy if you can get it on clearance. Rock on, Vince! The nose on this is moderately complex in my opinion. It does have an alcohol presence, but there is also a grassy/earthy note to it, along with spices. Cooked agave is present, but it is not at the forefront; it is more subtle. The taste is where the agave becomes more prominent. The spices are still present, but it's almost as if the roles have reversed between the spices and the agave from what they were in the aroma. Baking spices is how I would describe the taste on the tongue, but with a moderate sweetness. The body feel in the mouth is medium-to-light. A slight residue is left on the palate, but not a thick coating. The finishing taste turns mostly to mint for me, with a quick, slight heat high in the back of the palate and throat. There is just a bit of vegetal aftertaste for me - enough to leave an impression, but more of an afterthought than anything. Overall, I consider this well-balanced. Points off for the silk ribbon (too girly) and poorly-contrived wax seal on said ribbon. The box and tissue paper are nice, though. Price on this has varied for me. I have seen it on clearance for $19.99, but also in the $35 range. Cheaper is always better. I have to say, that for a celebrity owned/endorsed tequila, this one is better than most IMO. Tasted 08/16/08 out of double ball glass. I'm a bit hesitant to try anything endorsed by someone who thinks blancos are aged. But I thought I'd give it a shot. I was very impressed. A very unique aroma and taste. Definitely top shelf, lots of character. Aroma: Agave, spice, and clove. Initial Taste: On the tip of tongue, its sweet with no bitterness. A thin mouth feel. Body: A nicely balanced agave, with cinnamon, earth, and pear. Finish: A heated finish of medium duration. (I am concerned about tequila bottle corks not sealing as well as they should, this one included. Every tequila I've reviewed so far has had this problem. Be careful to, especially transport & obviously store, straight up or leakage will occur).